A Hull-based tech firm is to create 100 jobs after securing a £10m investment from Cisco Systems. 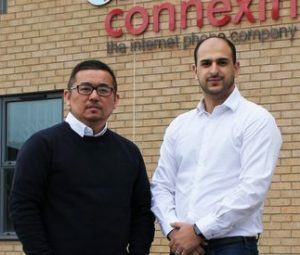 Wireless internet provider Connexin is to build a new Hull HQ and data centre after the injection from the Silicon Valley-based tech giant. The firm also provides wifi for UK local authorities, allowing the wireless connection of road sensors, CCTV cameras and security systems. Chief executive Furqan Alamgir set up the business in 2006. "Hull is now being seen on the global front as a leader in digital innovation," he said. "Through that they came here, we had them walk around the streets and look at the wifi we have deployed in the city centre and they believed what we were doing and they saw the opportunities." Anil Menon, global president for Cisco’s Smart+Connected Communities, said: “We’re thrilled to partner with Connexin, a pioneer in smart cities digital transformation in the UK. “Connexin and Cisco both recognise that digital transformation is about improving people’s lives — whether through connected health, social care, and education; smart parking, lighting, and waste management; or access to other improved urban services."